The Eastern Athletic Trainers’ Association (EATA) held its 69th Annual Conference in Philadelphia, PA on January 6th-9th. The Pennsylvania Athletic Trainers’ Society (PATS) had numerous members gain recognition with new leadership roles and awards. The Eastern Athletic Trainers’ Association (EATA) held its 69th Annual Conference in Philadelphia, PA on January 6th-9th. 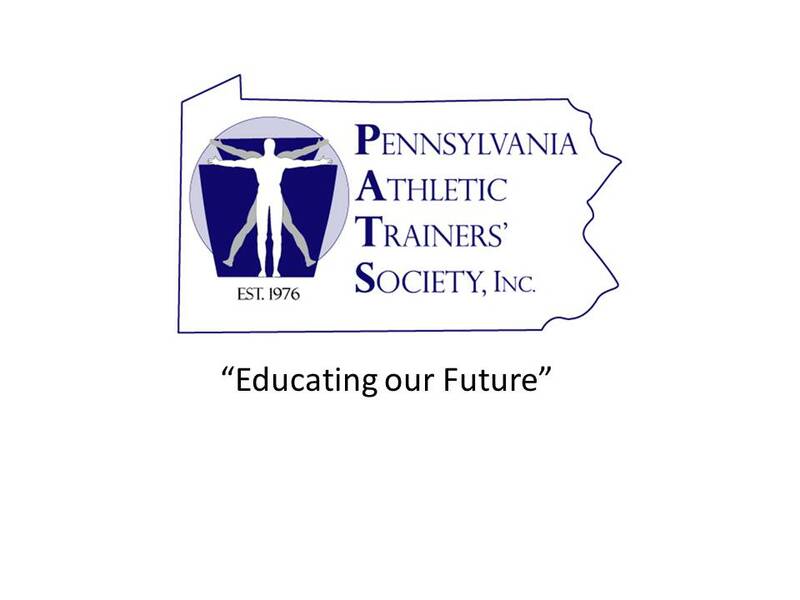 The Pennsylvania Athletic Trainers’ Society (PATS) had numerous members gain recognition with new leadership roles and awards. Four athletic trainers were inducted into the EATA ’49 Club. Additionally, four members received the new leadership roles. Two members received awards and a former PATS and NATA Executive Board member delivered the Pinky Newell Address. Attendees enjoyed educational programming, exhibits and professional networking. Many members of PATS were honored throughout the weekend convention. Neil Curtis, EdD, LAT, ATC was elected into an Athletic Trainer Director-Elect position on the Board of Certification (BOC) Board of Directors. This Board of Directors is a nine-member group that governs the BOC. There are six athletic trainer directors, one physician director, one public director and one corporate/educational director. Curtis is currently an Associate Professor and Coordinator of Athletic Training Education within the department of sports medicine at West Chester University in West Chester, Pennsylvania. John “Doc” Moyer, LAT, ATC, was appointed as the District 2 Representative to the National Athletic Trainers’ Association (NATA) Secondary School Committee. In addition, Moyer was honored with two awards. The first award presented was the 2017 Gatorade Secondary School Athletic Trainer Award. This award recognizes a certified athletic trainer from each National Athletic Trainer Association (NATA) district who has made outstanding contributions in furthering his or her high school’s athletic care program or the overall profession of secondary school athletic training. The second award presented to Moyer was the Henry Schein Award. This award recognizes a person who has make an outstanding contribution to the profession on the secondary or prep school level. Moyer is currently the PATS Past-President and the Head Athletic Trainer at Wilson High School in West Lawn, Pennsylvania where he has served for over 35 years. Former PATS Treasurer, Dave Marchetti, MS, LAT, ATC, was announced as the EATA Treasurer. Marchetti currently is an Associate Clinical Professor and Athletic Trainer at Kings College in Wilkes Barre, Pennsylvania. Steve Nemes, LAT, ATC was awarded the EATA Presidential Award. 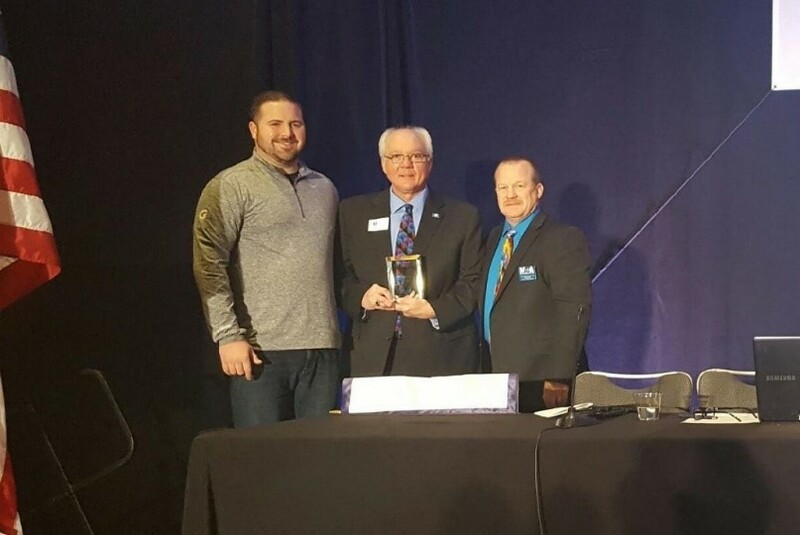 The EATA Presidential Award is presented to a person who shows unselfish and dedicated efforts which has advanced the EATA and the athletic training profession. Nemes has been the past recipient of a PATS Board of Directors' Service Award for his many years as a member, and later, was Co-Chair of the College/ University Athletic Trainers' Committee, Chair of the Ethics Committee, and Chair of the Nominations and Election Committee. He also served as the Eastern Representative on the PATS Board of Directors from 1986-1988 and is also a member of the Pennsylvania Athletic Training Hall of Fame Class of 2010. Nemes showed leadership within the EATA as a member of their Workshop Committee and has served as the Chair. Nemes is currently in his 32nd year as head athletic trainer at Muhlenberg College in Allentown, Pennsylvania. 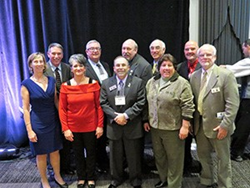 Four PATS members were inducted in the Inaugural Class of the EATA ’49 Club. This is the equivalent of the EATA Hall of Fame. Phil Donley, DPT, ATC has spent over 40 years evaluating, treating and rehabilitation athletic injuries for athletes at all levels of competition. He served on the faculty and as Head Athletic Trainer at West Chester University for 26 years. Donley’s athletic training education program was not only the first in Pennsylvania, but was also the first co-ed program in the country. He was a pioneer in helping women enter the field of athletic training and hired the first full time female athletic trainer in 1966. In addition to being elected to the NATA Hall of Fame in 1991, Donley was awarded the NATA Distinguished Athletic Training Educator’s Award. He is a member of the inaugural class (2000) of the Pennsylvania Athletic Training Hall of Fame. Joe Godek, MS, ATC has had many accomplishments over the last four decades on the local, state, regional, national and international levels. The 1999 NATA Hall of Fame inductee was a charter member of PATS. He oversaw the drafting of the Commonwealth’s initial athletic training legislation, served as liaison to the Pennsylvania Physical Therapy Association and sat on the Athletic Trainers’ Advisory Committee. Godek has been EATA President and District II Director. While District II Director, he also served as Vice President of the NATA. Godek has received countless awards including but not limited to: inducted into the Legion of Honor of Four Chaplains, the EATA Cramer Award, the PATS Distinguished Service Award, and the NATA Most Distinguished Athletic Trainer Award. He was the head athletic trainer with West Chester University football for 28 years and currently owns and operates DevTay Enterprises in Kennett Square, Pennsylvania. Joe Iezzi, MS, LAT, ATC has been an athletic trainer for over 30 years. He has been a leader within PATS, serving on the Board of Directors for eight years. During his tenure as PATS President, Iezzi introduced changes in the Pennsylvania Law and initiated the proposal to have athletic trainers licensed directly under the Medical Boards (MD and DO). Iezzi has served on the District II, EATA and NATA Executive Boards. In addition, Iezzi has received many awards including, the EATA Secondary School Athletic Trainer Award, the PATS Service Award, the NATA Most Distinguished Athletic Trainer Award and the Philadelphia Sports Medicine Congress “Ted Quedenfeld” Award, just to name a few. Iezzi is a member of the Pennsylvania Athletic Training Hall of Fame Class of 2007 and a member of the NATA Hall of Fame Class of 2009. Paula Turocy, EdD, LAT, ATC has had an immeasurable impact on the profession of athletic training. Turocy is a former chair of the Commission of the Accreditation of the Allied Health Education Program Joint Review Committee on Athletic Training and a former chair of the Commission on Accreditation of Athletic Training Education. A recognized volunteer and activist at the local, state and national levels, Turocy contributed to the advancement of the regulatory status and licensure of athletic trainers in Pennsylvania. She has been a member of PATS since 1980, where she has served membership as President, President-Elect and Past-President, as well as Parliamentarian, a member of the Long Range Planning and Governmental Affairs Committee. Turocy was also a liaison to the Pennsylvania PTA and Safe Kids Programs. Turocy is a member of the Pennsylvania Athletic Training Hall of Fame Class of 2008 and the NATA Hall of Fame Class of 2014. She currently is serving as Interim Dean in the John G. Rangos, Sr. School of Health Sciences. Turocy is also the Director of the Duquesne University's Pre-Medical and Health Professions Programs and is a senior RSHS faculty member and Associate Professor in the Department of Athletic Training at the University. 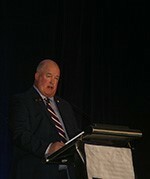 Jim Thornton, MA, ATC, CES, PES had the honor of delivering the Pinky Newell Address. The presenter criteria include many of the attributes of “Pinky” but are also attributes of a role model athletic training professional to exhibit to others. Thornton has been a member of PATS since 1996, serving on the Long Range Planning and Finance Committee. He has also served as an Executive Board Member for the EATA and as NATA District II Secretary. Most notably, Thornton served as NATA President from 2012-2015, after serving as vice president from 2009-2012. He was named the 2007 PATS Service Award winner and the NATA Division II Athletic Trainer of the Year in 2008. In 2010 he was the recipient of Clarion University of Pennsylvania’s Most Distinguished Volunteer Award. Thornton is a member of the Pennsylvania Athletic Training Hall of Fame Class of 2016. Jim Thornton currently is the Head Athletic Trainer at Clarion University and serves as the athletic training liaison to the NCAA Wrestling Rules Committee. Next year’s Eastern Athletic Trainers’ Association Convention will be held on January 5th-8th, 2018 in Boston, MA. For more information regarding this topic or to schedule an interview with PATS President Gaetano Sanchioli, MS, LAT, ATC, PES, (president(at)gopats(dot)org) please contact Linda Mazzoli, MS, LAT, ATC, PATS Executive director at patsexecutivedirector(at)gopats(dot)org. The Pennsylvania Athletic Trainers’ Society, Inc. is a progressive organization of licensed healthcare professionals who work under the direction of a licensed physician. Our society continues to increase public awareness and education regarding Athletic Trainers and the Athletic Training profession while serving as the premier source of information for public safety, injury and illness prevention, early intervention, patient care, and healthcare delivery for the physically active in the Commonwealth.